Italian police have broken up an international crime ring that ferried dozens of migrants through Turin towards northern Europe, charging thousands of euros per migrant. Police arrested 11 suspects, most of whom were Somalian, following a three-year investigation into the group. Arrest warrants are still out for five other suspects. The criminal organisation used the "Ex MOI" in Turin, the former Olympic Village, as its headquarters. Human traffickers reportedly departed from there for destinations such as France, Austria, Germany, Belgium, and Scandinavian countries. Interior Minister Matteo Salvini said the bust is the "umpteenth example that irregular immigration is a business that must be stamped out." "The Ex MOI is an area that, after years of uncertainty, we have started to clear, and that we will completely free in the coming months," he said. Turin police chief Francesco Messina said police actions at the Ex MOI "continue in order to keep delinquents out and welcome those who need it." Messina said the organization in question was very dangerous, "powerful and strong." The police operation against the group began after French police intercepted a human smuggler who had departed from the Ex MOI buildings on via Giordano Bruno. The operation was titled "Operation Mogadishu." A total of 25 people are charged with facilitating illegal immigration and falsifying identification documents. The organisation allegedly provided migrants with fake or counterfeit passports and ID cards that the migrants had to give back at the end of their journeys so the documents could be reused. The preliminary investigating judge, Livia Locci, has also charged some of the suspects with drug trafficking. Among them is one of the organisation's bosses, who was arrested last April as part of a major drug bust at the Ex MOI. Two parliamentarians from the far-right Brothers of Italy party, Augusta Montaruli and Maurizio Marrone, said the operation is confirmation that the buildings at the Ex MOI "were the base for the African mafias." 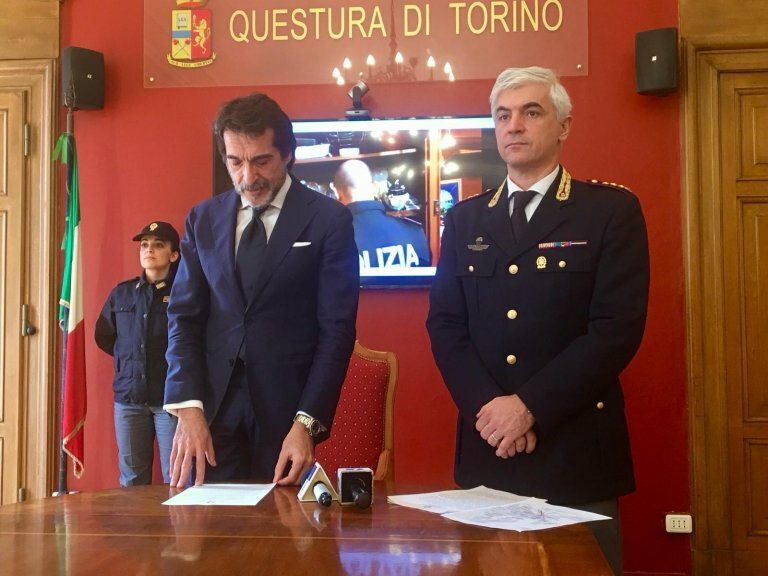 They said they will call for a parliamentary hearing "to ascertain the responsibility of the city governments of Fassino and Appendino, starting with verification on whether the arrested traffickers benefited from false residency or city-sponsored aid projects."